Mykonos! Vacation guide to Mykonos, Greece for 2019. Sandy beaches, people watching and good life combined on the windy island that never sleeps. Mykonos is one of the islands of the Aegean Sea, belonging specifically to the Cyclades complex. The capital of Mykonos is Chora, located on the western side of the island. Mykonos spreads over an area of 86 125 sq. km and has a coastline of 89 km and was one of the first Greek summer destinations that developed its tourism infrastructure. Tourists started flocking to the island as early as the 1960s, attracted mostly by its beaches and nightlife, which still remains one of the most vibrant in Europe, if not the world. One of Mykonos' most famous spots, the region called 'Little Venice' in Chora, is called that because of its similarity to Venice, the distinctive city in Italy. 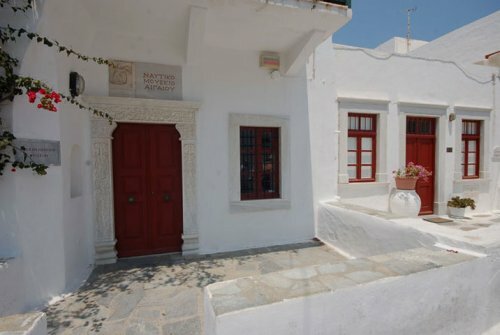 Mykonos is a must-see place, a diamond in the Greek seas, blessed with unique charm, picturesque everyday vistas and a clearly cosmopolitan vibe. Its main attractions include the windmills, rocky hills, sandy beaches and of course the distinctive anything-can-happen vibe, which can be felt all through the day and – especially – the night! Mykonos' heart beats in Chora, with its whitewashed houses, built around cobbled, winding, narrow streets, mixed with small chapels with red and blue domes. Here you can will first class bars, top restaurants run by distinguished Greek chefs, as well as traditional taverns for all tastes. And above all, a relaxed atmosphere where everyone is invited to join in the fun without fear or prejudice. Mykonos has been described as the Ibiza of Greece (or is it maybe the other way round and Ibiza is in fact the Mykonos of Spain?). Probably the most famous island in Greece, Mykonos is always a place to meet and greet with people from all around the world. There is a remarkable variety of clubs, bars, cafes, live music halls, restaurants, seaside taverns and luxury myconian villas, stimulating the visitor's senses day and night. Midday is already the right time to get the party started, mainly around at the area of Little Venice. The whole area around Little Venice, the Castle region and the windmills offer plenty of spots to sit and enjoy the sunset as day turns into night and the sky turns into a million different colours. And don't forget the beaches, of which there are plenty in Mykonos, suitable for every mood and lifestyle. Party beaches, family beaches, romantic beaches, beaches active with watersports, quite beaches, nudist beaches... All with crystal clear waters and most equipped with the necessary infrastructure to allow hanging out there to your heart's (or tan's!) content. There are ferries and speedboats departing daily from Piraeus to Mykonos, starting as early at 7:00 every morning. Mykonos is located 94 miles southeast of the port of Piraeus . The ferry trip lasts is approximately 5 hours, docking at three ports in total: Syros-Tinos-Mykonos. The trip by speedboat lasts about 3 hours with a variety of routes. High-speed ferries returning to Piraeus depart from Mykonos around 16:30-17: 00. There are ferries and speedboats departing from the port of Rafina to the Cyclades islands of Andros, Tinos and Mykonos on a daily basis, starting at 7:15. There are also smaller passenger speedboats available, which do not carry vehicles, and depart from Rafina at least twice per day - even during the winter season - and take only 2.5 hours to reach the old port of Mykonos. Mykonos is located 74 nautical miles southeast of Rafina. Two Greek companies are running daily flights to the island of Mykonos, while a couple of low cost air carriers have also started flying to the island. In the summer months the service is very regular, especially since Mykonos' airport is also included in the itineraries of a great number of international commercial and charter flights during peak season. Whichever way you choose to get to Mykonos, you'll sure have a perfect time! 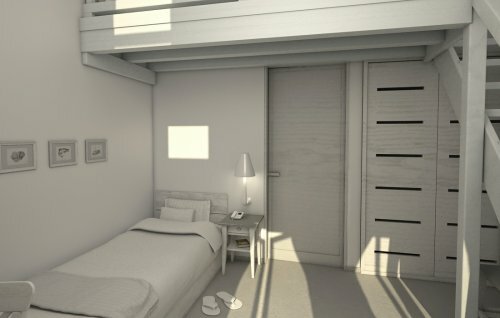 UP Living has selected the best hotel of Mykonos to upgrade. One of the most important tourism asset of Mykonos, which makes it stands out among all the islands of the Aegean (or all Mediterranean islands), are Mykonos wonderful beaches. Here are without any doubt the most and best beaches you can encounter on such a small island. Especially in the south of the beautiful bays with sandy beaches follows one after another. All these beaches can be reached by car or motorbike. 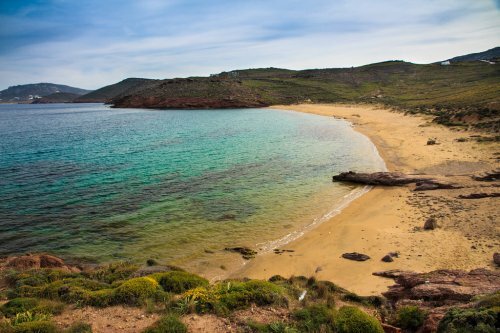 Because of the specificity of the road radial network of the Mykonos, many of the southern beaches also connected by boats which run regularly all day throughout the summer, which is a very interesting excursion activity opportunity. Mykonos, behind the headlights of fun and parties, really hides some special products and refined flavours that reveal images and traditions of the other side of the island. We can say that cuisine in the taverns and restaurants is inclusive with many ethnic flavours, but if someone noticed more detailed will see that many of the multinational dishes using local products, such as tyrovolia, Kopanisti and Mykonos salami in order to reach that flavour level. Mykonos is the most special island in the Cyclades. Synonymous with fun, formerly with international and domestic stardom, destination for student tours, the island certainly surrounded by myths. 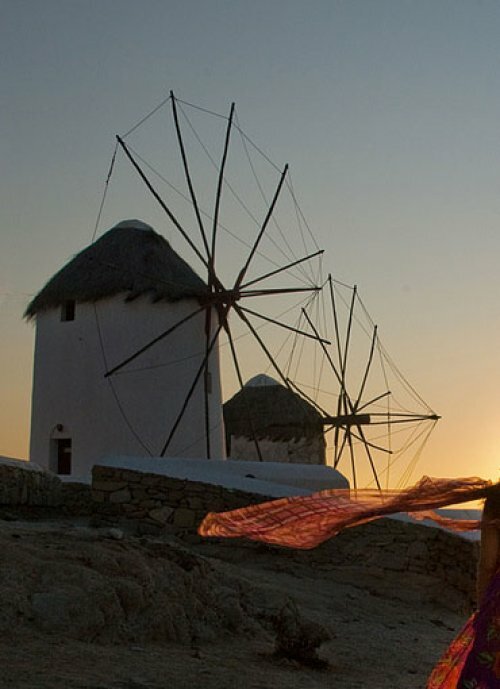 On the other, Mykonos is particularly beautiful and is ideal for all types of holidays that everyone can choose. Moreover, it has the advantage that any season to visit it, you will find world and have a good time. Click to see what you should have done before you leave the island. Proof of human civilisation on Mykonos has been traced as far back as the 3rd millennium b.C., and it seems that the island has been vibrant with life and activity ever since! 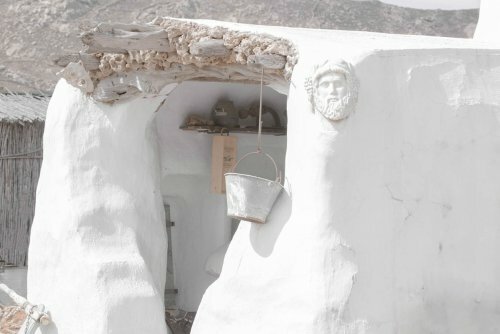 A true cosmopolitan knows how to appreciate tastes and flavors from many different parts of the world, and this Aegean hotspot isn't any different: you might have found yourself in the heart of the Mediterranean, but you may still dine out in another continent each night during your vacations in Mykonos. With inspiration ranging from Asia to Argentina and from Italy to New Zealand, restaurant owners in Mykonos have really gone out of their way to provide abundant dinner options for the international crowd. 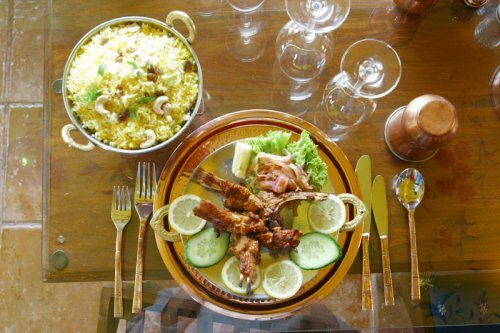 Each year, the island's restaurant scene has something new to offer, while many of the more established venues maintain the highest quality standards. Would you like to take a stroll in a monasterial vineyard while listening to Beethoven's Fifth? Would you like to take a stroll in a monasterial vineyard while listening to Beethoven's Fifth? Or get acquainted with Mykonos' rural landscapes riding on your bicycle? 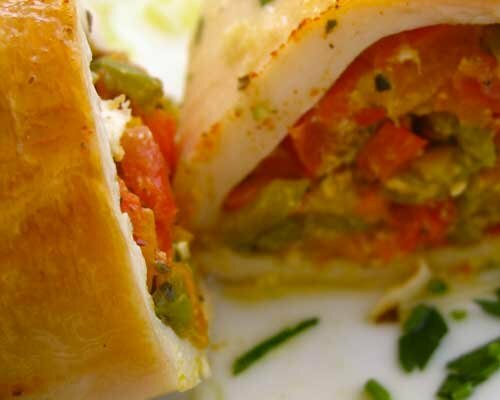 How about restoring your mental and physical balance or enjoying a healthy dinner named after a famour movie star? 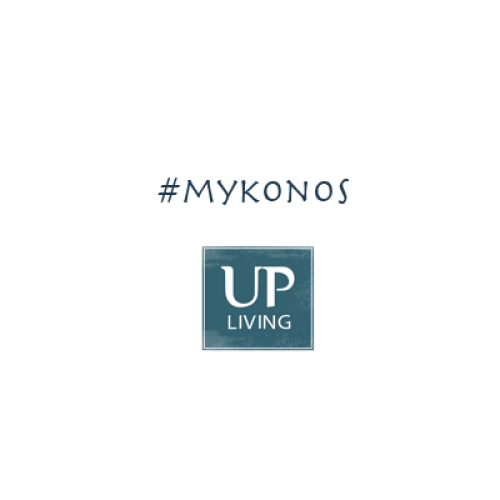 Mykonos has a little something for everyone, even those supporting a healthier life-style! Considered one of the “Big 4” destinations for gay travelers worldwide, together with the Gran Canaria, Sitges and Ibiza, Mykonos is certainly one of the friendliest, coziest and up-to- date choices for everyone looking for that little bit extra in their holidays.